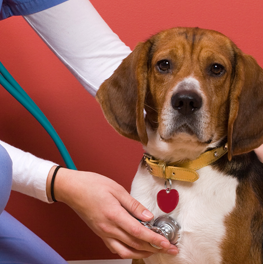 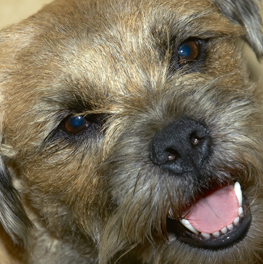 Dogs suffer from tartar, gum disease and tooth loss just like we do. 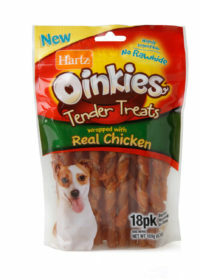 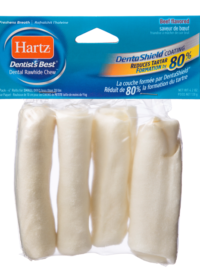 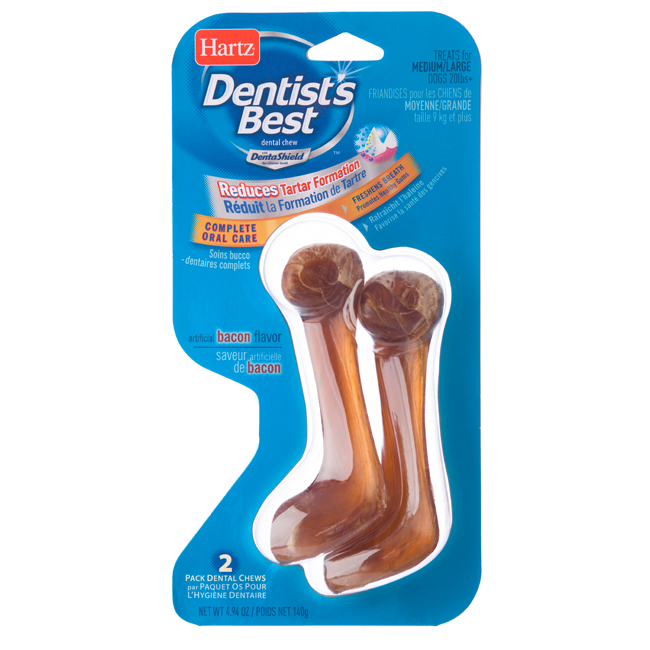 For pups that prefer to wag tails instead of toothbrushes, Hartz Dentist’s Best provides a tasty way to maintain good oral hygiene. 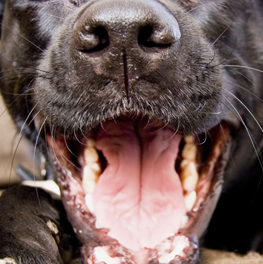 Revolutionary DentaShield technology works by bonding with components in your dog’s saliva, and is scientifically proven to reduce tartar formation by 80%. 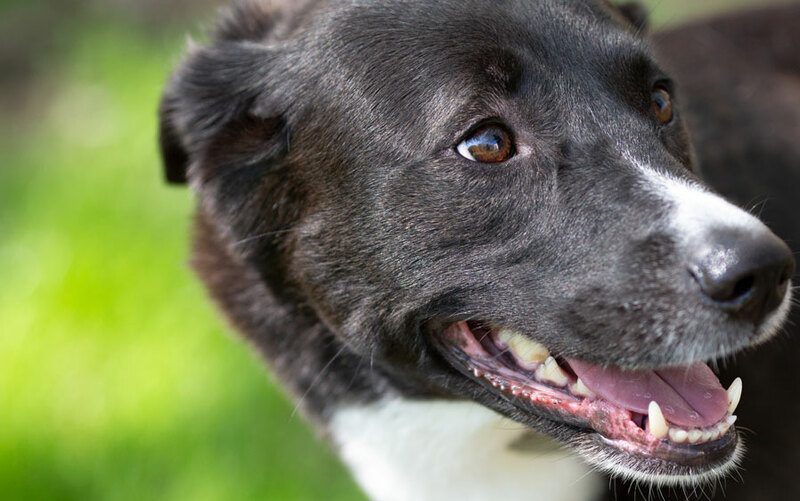 The chewing action not only lessens tartar build-up, but also freshens breath and massages gums, all while satisfying your dog’s natural desire to chew. 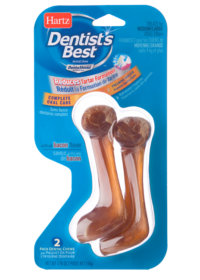 Each bacon flavored, long-lasting and fully digestible dental chew is sure to cause instant nose twitches and a bit of drool!